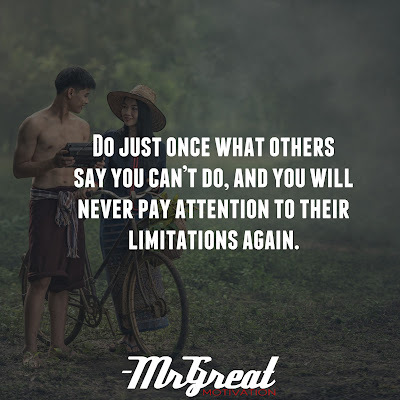 Don’t let others tell you ‘you can’t’. If you want it bad enough, you can achieve it. You have to pay the value to succeed; no one is going to put it on your knees! Don’t listen to those who will limit you, you can do it. Be focused and don’t allow less than you want to achieve! At least give it a try, you never know what you are proficient of. We can’t probably know what is best for someone without spending a lot of time understanding their point of view. Knowing that what other would “say” about our great ideas and enthusiasm may only be a mental reaction. What people feel about something for us doesn’t make a reason to not to do anything. We should try hard to not just look at things analytically just because it seems that they are. We should make decisions based on good reliable information if we take the time to listen to and try to understand the things what we really want from life will help us to move things along much better. Look at limitations with both a skeptical and opportunist eye. 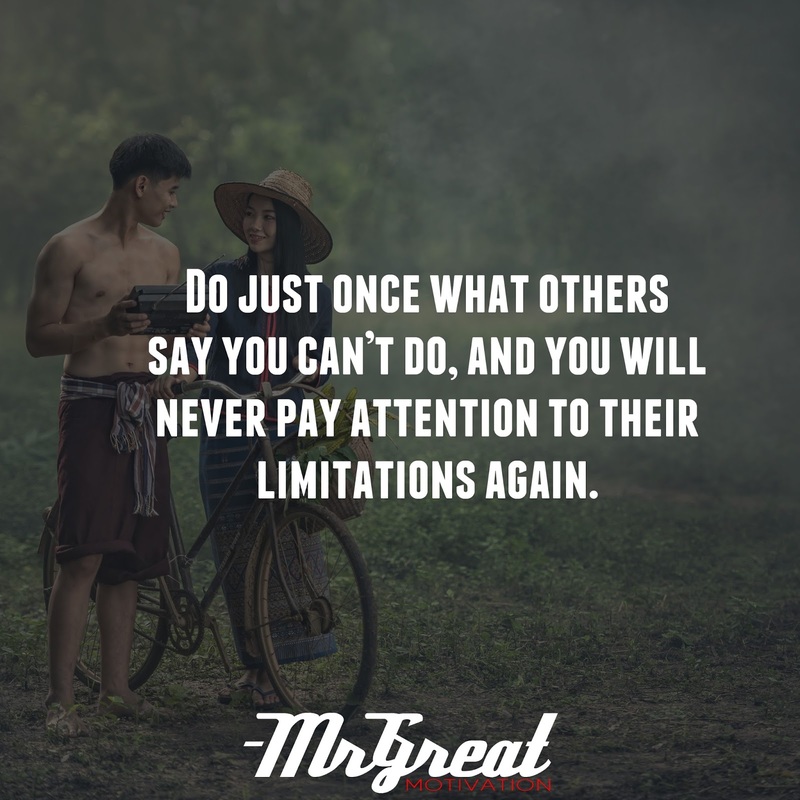 Don’t let others limit your accomplishments, show them you can. Have a great day, and think it through. Stay motivated.